As the free period for upgrading from Windows 7 or 8 to Windows 10 comes closer to ending (July 29), Microsoft is getting more desperate. They want to push Windows 10 into as many computers as possible, whether the owner of the computer wants it or not. I’m still getting calls and emails all the time from people that are surprised to wake up one morning and find that their computer has been “upgraded” against their wishes. As I have written here previously (here), Windows 10 has a built-in function that allows you to revert back to your previous version of Windows, if you do the rollback within 30 days. That rollback function usually works, but not always. What if the built-in reversion process does not want to work or comes up with an error? 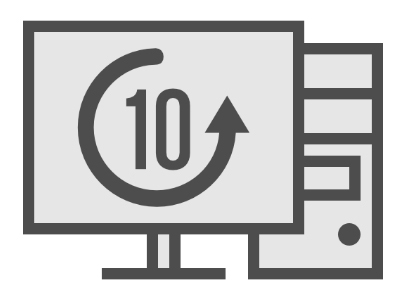 What if you don’t know how to proceed with reverting back to Windows 7 or 8 after the computer has upgraded to 10? 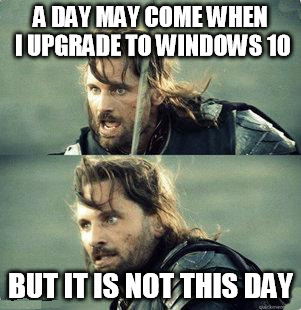 What if the Windows 10 upgrade runs into problems and now the computer won’t even boot into Windows? I’ve seen this several times. And these headaches may all be happening to you, in spite of the fact that you didn’t even want Windows 10 in the first place! I just came across a way that could resolve all of those issues. Neosmart Technologies has come up with a little piece of software called Windows 10 Rollback Utility (pretty clever name, right?). You can get it at https://neosmart.net/Win10Rollback/. Disclaimer: I only recently discovered this program, and I’ve only tried it on one computer so far. On that computer it worked fine. Normally I try to use a program extensively before I blog about it or recommend it, but in this situation there are so many people getting scammed into the Windows 10 upgrade I felt that I should go ahead and tell you about it now. There are no indicators so far that it won’t work properly, just keep in mind that I have not tested it exhaustively. You can install it on your computer that is currently running Windows 10, and use it to take the computer back to Windows 7 or Windows 8. But you can ONLY do that within 30 days after the upgrade to Windows 10 took place. If it has been longer than that, this “easy rollback” option is gone. There are still options to get back to 7 or 8, but they are just more involved. If your computer somehow got corrupted during the Windows 10 installation and now it won’t boot up to either version of Windows, you can create a bootable disc using the Windows 10 Rollback Utility. Your computer can boot up to that, and take it back to the previous version of Windows (if you’re not familiar with how to create a bootable disc and boot your computer with it, I can help you with that). One thing to remember: any work that you have done (documents created, pictures, etc.) from the time of the upgrade until now will be wiped out when you revert back to the previous version of Windows. So make sure you back up everything important BEFORE you do the rollback. You can expect things to get worse. Why not? People have shown they will put up with it. What will it cost for Windows 10 after 7/29?